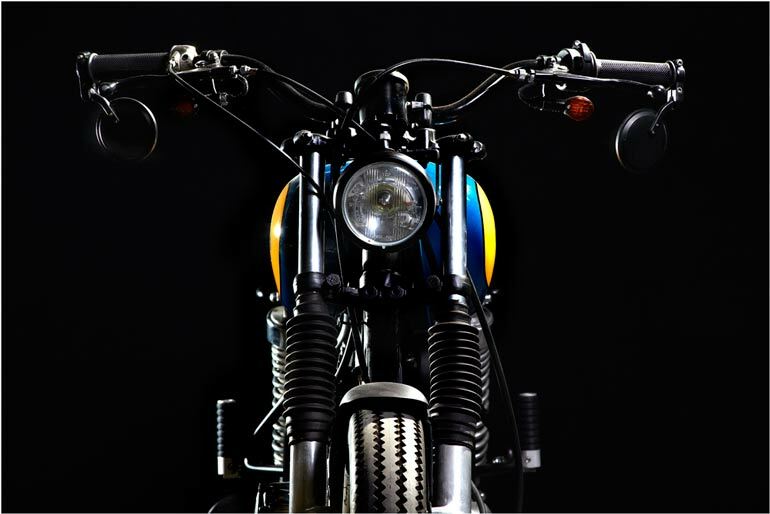 We never thought when we built CRD4 that we were going to do so many Yamaha SR250, because CRD41 Cafe Racer was going to be also an SR250. Almost all of them receive the same treatment, the original tank is slightly modified, the sub chassis is cut in order to fit a custom made seat and a battery kit is installed to be able to put it under the seat, the electrical system is simplified and we also install a Bates style headlamp. The SR is an ideal bike model for people who are introduced for the first time to the world of custom motorcycles since it is practically unbreakable and is also very light. This time we opted for a combination of colors blue and orange, which we think was quite appropriate. 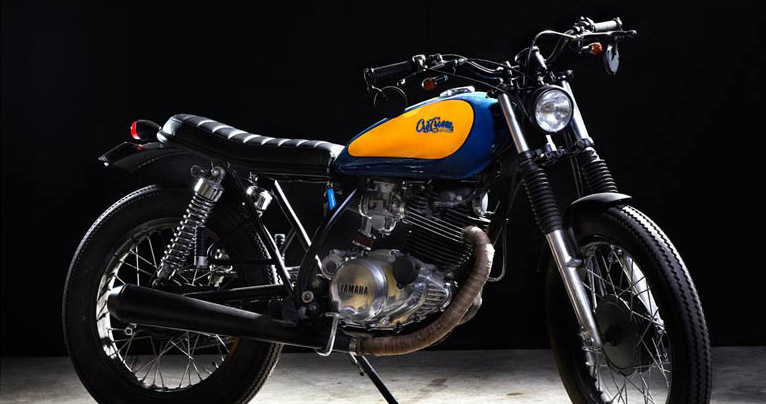 If you click here you can read the article that The Bike Shed wrote about CRD41 Cafe Racer.